George E. Kainz, M.D. – Breast MRI is the most sensitive and thereby considered by most experts to be the best imaging technology available for detecting breast cancer. Based on the results of your last mammogram, or your medical/family history of breast cancer, your physician may recommend a breast MRI exam. Breast MRI is the most sensitive and thereby considered by most experts to be the best imaging technology available for detecting breast cancer. Since breast MRI detects almost all invasive breast cancers, even the smallest, it is revolutionizing the way we diagnose and treat breast cancer. Unlike mammography, breast MRI uses no radiation. Instead, radiofrequency waves in a magnetic field create hundreds of images of the breast. The images are captured digitally in three dimensions and show an incredible amount of fine detail. The use of an intravenous contrast called gadolinium is required to best detect breast cancers. At Lake Medical Imaging, we utilize a special computer-assisted detection (CAD) program designed for the processing and interpretation of Breast MRI Images, in addition to the interpretation by our Board Certified Radiologists who specialize in breast imaging. 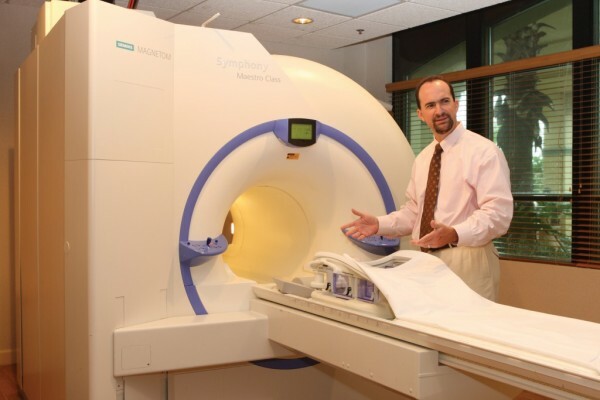 These exams are performed at our MRI Centers in Leesburg and The Villages. What can I expect during the MRI exam? A breast MRI exam is performed with the patient lying on her stomach with her breasts placed in two specially designed cushioned breast cups below her. Prior to the exam, a technologist will start an IV to administer gadolinium, a special contrast material used to enhance breast tissue. Earplugs or headphones are given to each patient to insure maximum relaxation during the 30 to 40 minute exam. The technologist will step into the control area, while staying in constant contact both visually and by the use of the intercom. How do I prepare for my Breast MRI? Breast MRI needs to be performed between days 5 and 15 after the start of a menstrual cycle. No eyeglasses, jewelry, dentures, hearing aids, or metallic objects of any kind can be brought into the MRI exam room. Wear a two-piece outfit; pants with elastic waistbands are best.